For the fourth installment of our WordSpring 2015 interviews, The Haberdasher caught up with novelist Zu Vincent. National Book Award winner Jacqueline Woodson says Vincent’s novel The Lucky Place, “takes your breath—then gently hands it back to you again,” and Vincent’s annual holiday fiction, published by the Chico News & Review, is a Northern California tradition. A graduate of Vermont College’s stellar MFA in Writing for Children and Young Adults program, Vincent, who has worked as a journalist, feature writer, and editor, will be giving this year’s WordSpring welcome address. Erica Valdez (EV): Can you describe your writing process? 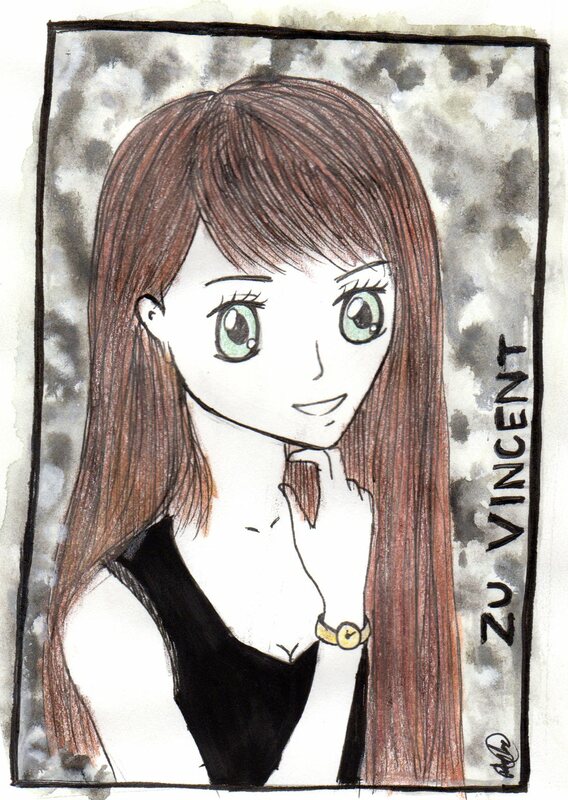 Zu Vincent (ZV): I wish I had a great formula to give other writers, but the best I’ve found is to make it a habit. To carve out a daily routine. That routine has varied for me depending on what else life holds. The best schedule I’ve ever had is morning exercise followed by six to eight hours of writing time followed by evening editing. When life gets crazy I at least try to listen to images and language and jot things down before they disappear. EV: How did you get started? ZV: I honestly didn’t know a thing about how to approach the writing life when I started. I just learned by doing. I talked my way into a journalism job where I learned discipline and the importance of writing for an audience, and discovered a wealth of characters through years of doing interviews for features. I took a few creative writing classes and started writing short stories that I began to publish and that taught me a way into the novel. And I used the library a lot, all those great novels to read and shelves of writing books with sage advice. I became an editor and reading manuscripts bound for publication taught me a lot about the narrative arc. Eventually I made my way to writing conferences and graduate programs such as Iowa Writers Workshop and Vermont College of Fine Arts, where I was helped along through the contacts with other writers and the larger writing community. EV: Where do you find inspiration? ZV: Inspiration is everywhere. In the way sun strikes water like a toss of dimes. The sag in a stranger’s shoulders. The sound of two words rubbing together. How memory strikes the heart, especially childhood memories, where all our stories start. EV: Are you currently working on any projects? ZV: I’m writing a novel about a perilous relationship, and have an essay coming out in an anthology on Native Americans. And although I don’t consider myself a poet, I’ve been writing a series of poems that have led me to look at the ways poetry and the novel intersect. EV: What is your favorite genre? ZV: I’m always seduced by a strong voice and style, whether it’s a novel or short story, poetry or non-fiction, mainstream or literary, so I’m not picky about genre, just content. I love writing that catches you off guard and at the same time feels so familiar. I love being in the hands of great storytellers who know their craft. EV: What three pieces of advice would you give young writers? ZV: Care about reading. Care about your reader. But mostly care about the secrets in your own heart and work to reveal them on the page as honestly as you can. Good writing takes time, sometimes a lifetime. If, when you sit down to write, you feel like a kid going out to play, the time just flies and you never want to come inside even though it’s way past dark, keep going! EV: What keeps you sane? ZV: Honestly, having the time to write. EV: What influences your writing? ZV: Writing things down has always held meaning for me. Shaping the words on the page until you feel you’re expressing just what you meant to express or at least getting as close as you can. That’s its own reward. So I guess I’m influenced by the doing of it. And of course by reading great writers. EV: Can you give me a sneak peak of your WordSpring workshop? ZV: I’m not doing a workshop this year but have been tasked with sprinkling a little magic dust around for the writers in the room during opening ceremonies. I’m hoping to encourage writers to look at the idea of image and the power of the moment as a way to begin. To find out more about WordSpring 2015, including the full list of presenters and workshops, please visit www.buttewordspring.org.